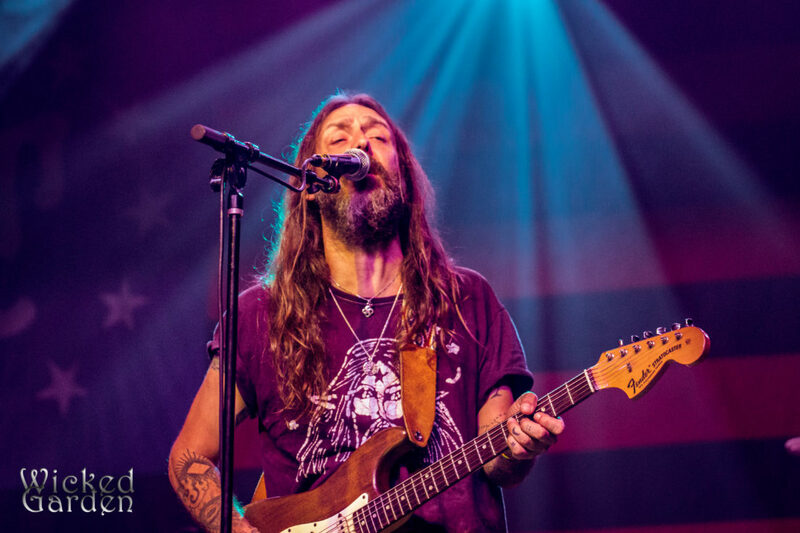 TEMPE, AZ — Entering the Marquee Theatre in Tempe, AZ on Tuesday night, the unmistakable scent of patchouli wafted through the air, as the tie-dyed crowd gathered for two sets of roots rock n’ roll from the Chris Robinson Brotherhood. 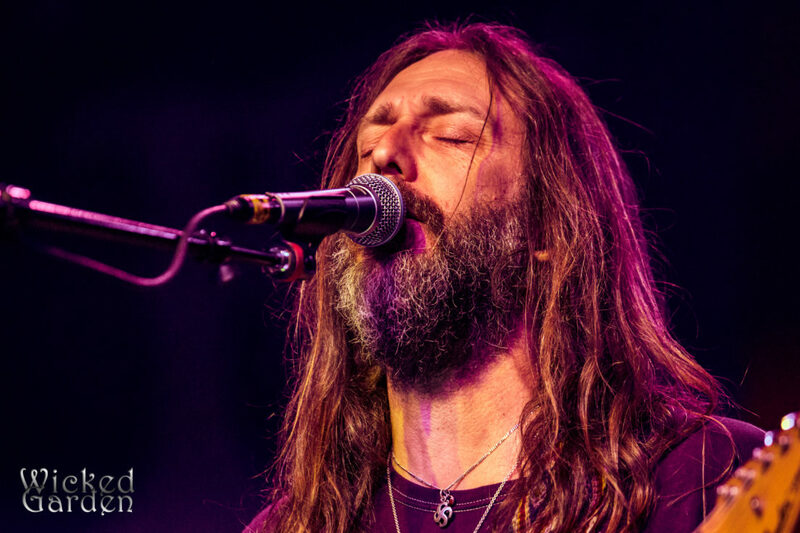 Known to many for his work as vocalist of The Black Crowes, Chris Robinson formed the Brotherhood in 2011, originally as a side project to the Black Crowes, who ultimately disbanded in 2015. 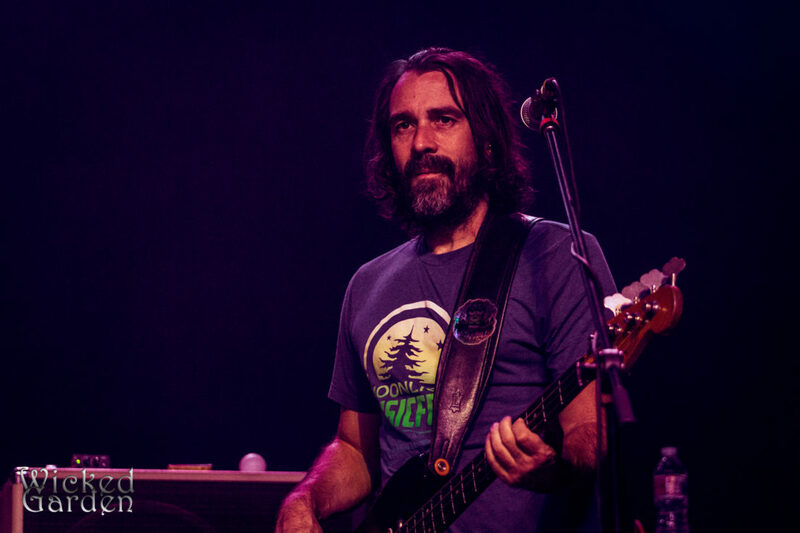 Though last year they released an album, Barefoot in the Head, the set list was barely influenced by it, as is usually the case with a jam band. 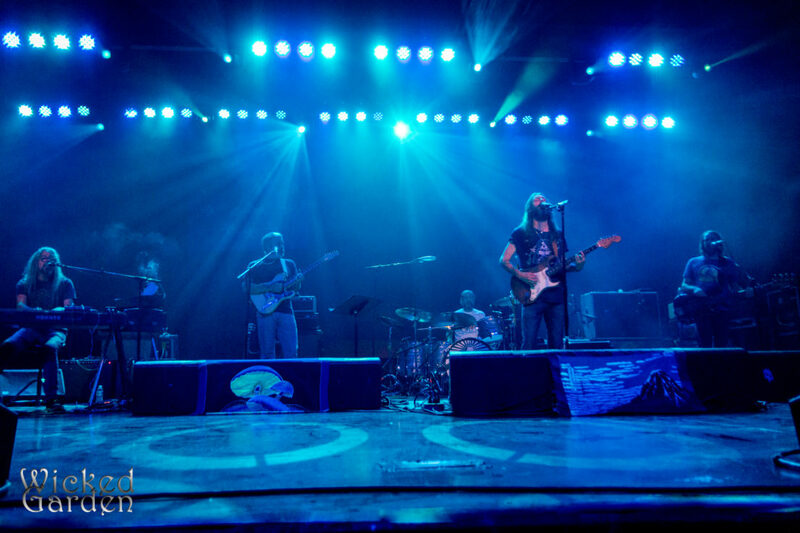 The group’s entrance to the stage was also typical for the genre – low drama and fanfare – as the lights didn’t dim until after Robinson took his place at the center, joined by the other four members. It was clear from the first couple notes of Hank Ballard’s “Let’s Go Let’s Go Let’s Go,” that the night was about kicking back, chilling out, and enjoying the music. 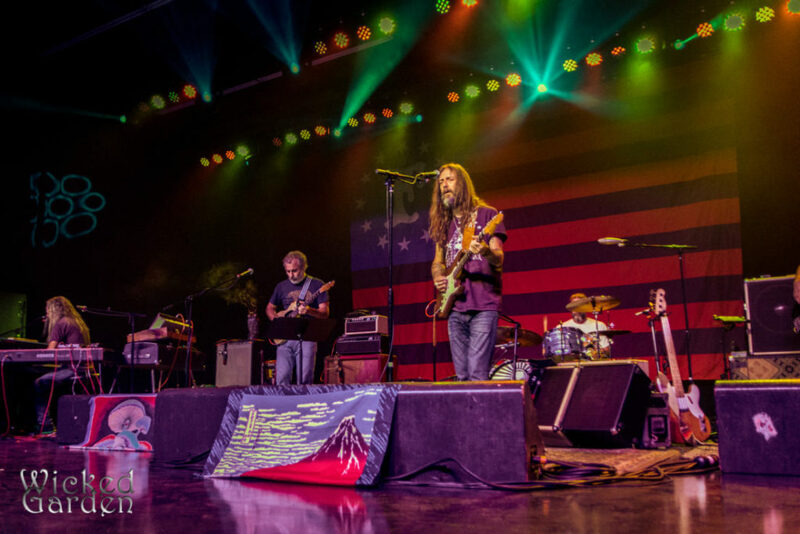 The stage was decorated with psychedelic blankets and rugs, accented by burning incense on one of the guitar amps, creating the perfect environment for the inspired extended jams between Robinson and guitarist Greg Loiacono. 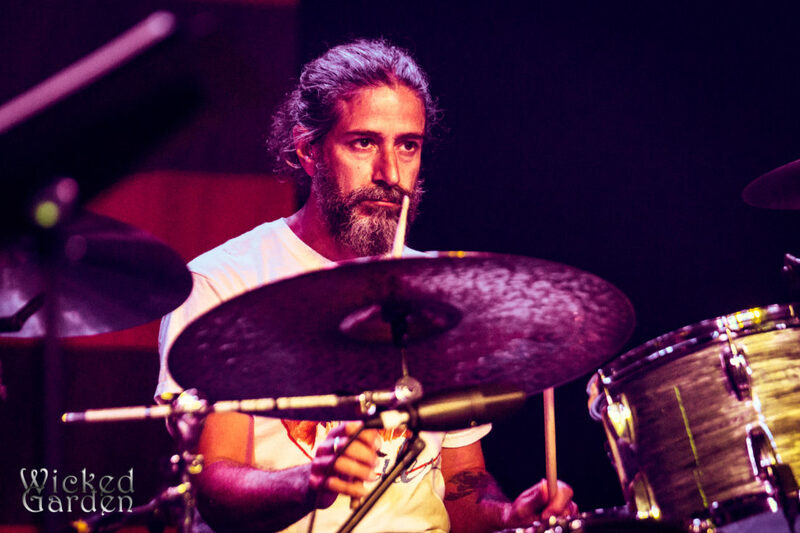 Loiacono, best known for his work with The Mother Hips, is filling in for the band’s usual guitarist, Neal Casal. 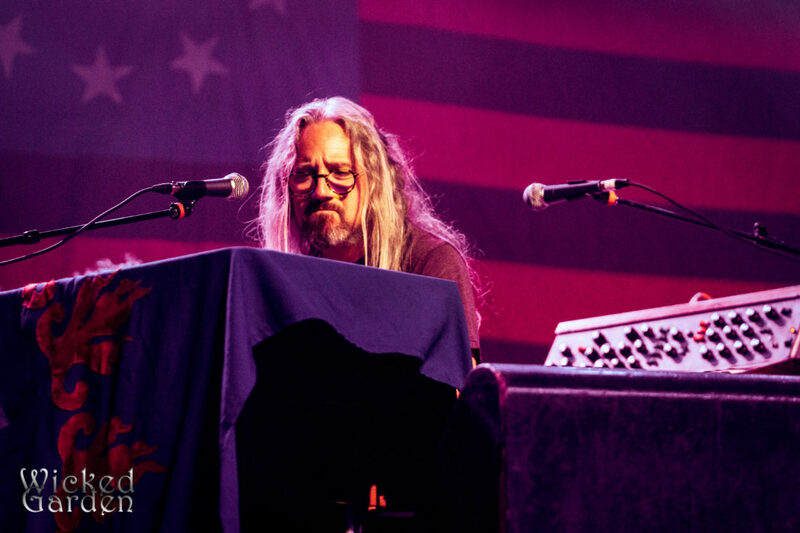 On the far left of the stage, keyboardist Adam MacDougall was surrounded by a classic Moog synthesizer and Hohner D7, which were featured on nearly every song. 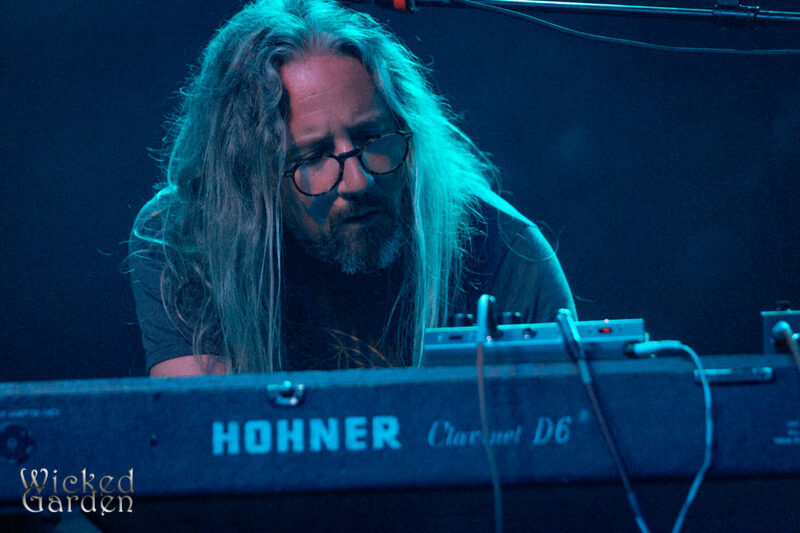 He often brought a 70s prog-rock feel to the songs, reminiscent of bands like Yes and Electric Lights Orchestra. As the first set wound down, the band kicked into a rousing run-through of “Boppin’ the Blues,” before taking a short set break. The band returned to the stage with a jam-heavy, upbeat version of “Vibration Light Suite,” from the 2012 release, The Magic Door. 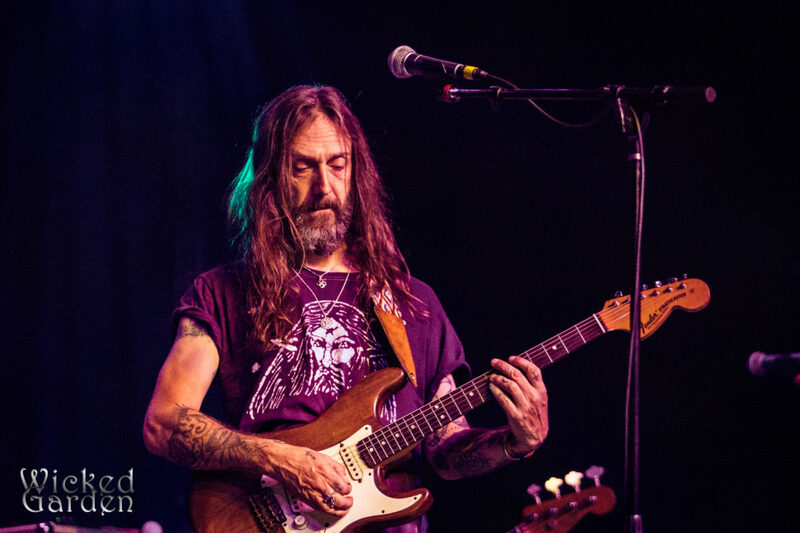 Clocking in at over 15 minutes, the song was a sonic journey driven by rhythm changes and effect-laden solos, under a wash of blue and purple mood lights. 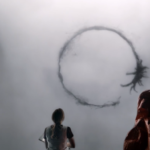 The song smoothly transitioned into “Venus in Chrome,” continuing the journey. 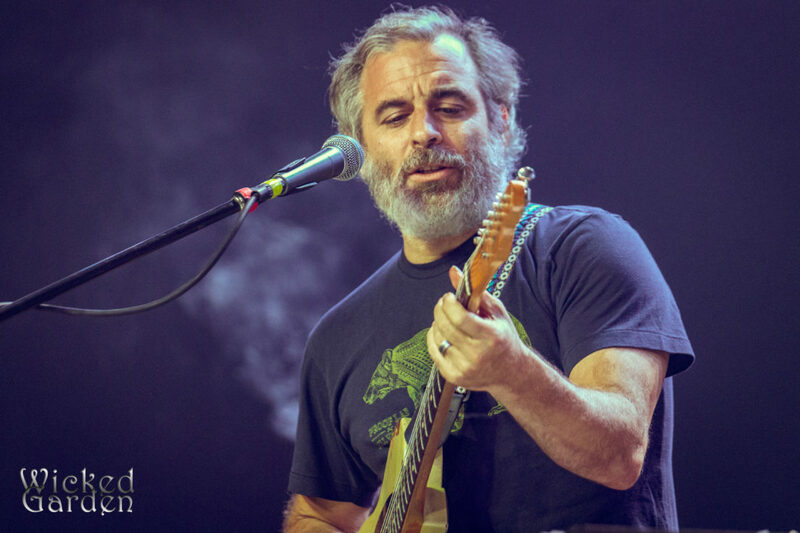 The set progressed in the tradition of Jam bands like the Grateful Dead, as the songs rarely had clear starts and ends, and between song stage banter was practically non-existent. 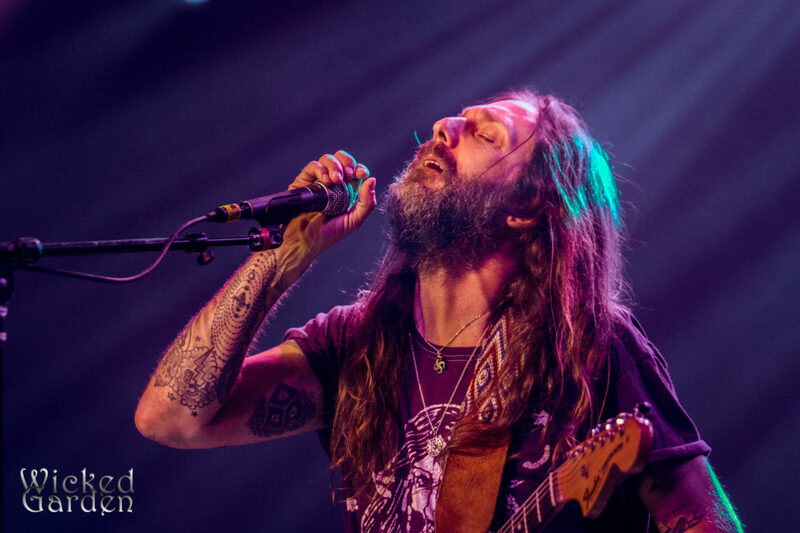 Following a slow, heartfelt rendition of “If I Had a Heart to Break,” the group hit the home stretch with a high-energy “Shore Power,” from 2014’s Phosphorescent Harvest and extra-funky take on “Rosalee,” from their 2012 debut, Big Moon Ritual. 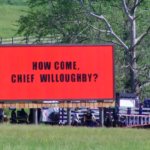 The band walked off stage briefly, before playing a rocking take on Bob Dylan’s “Workingman’s Blues,” featuring Loiacono on lead vocals. 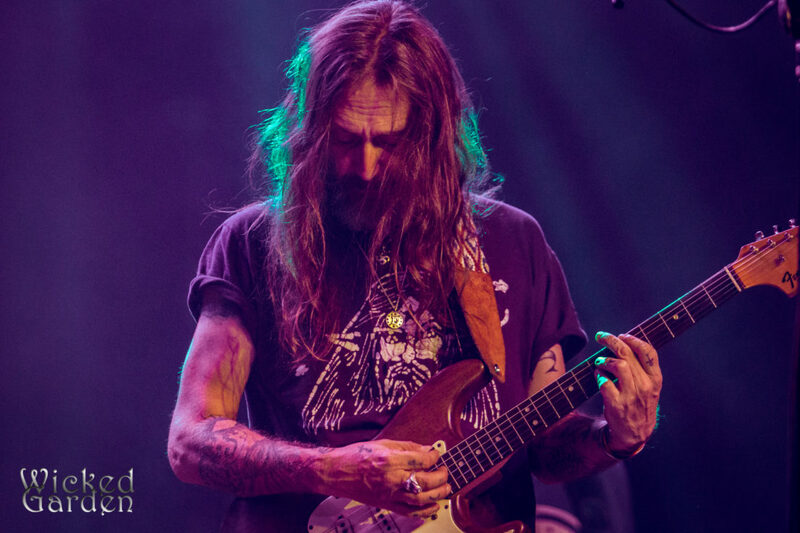 Catch the Chris Robinson Brotherhood on tour through the end of the year.